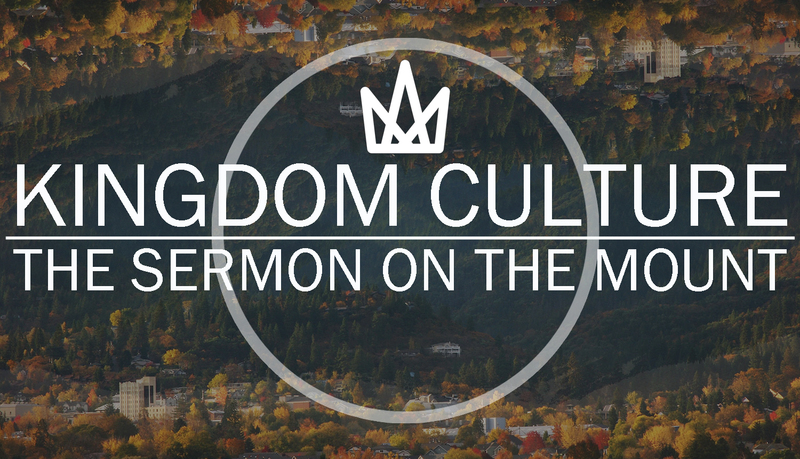 This morning we are continuing the series Kingdom Culture, based on the Sermon on the Mount. We will be hearing the words of Jesus from Matthew 6:19-24. If you have your bibles or an app on a device, you can turn there now. It will also be on the screens. Success. From a very early age it is a word that we learn and its implications are taught to us. We understand what it means. Success. Perhaps the word comes with it bright and happy thoughts but maybe it also comes with pain and heartache. Being successful or the lack thereof in the eyes of others can have lifelong impact. What is success? What is success to you? I suppose success depends upon what you value in life. If you value fortune, success depends on the standard of living and number of dollars in the bank. If you value fame, success depends on how many people know who you are. If you value power, success is determined by the number of people you have under your control. Most people consider a success a combination of fortune, fame or power. The amount of each varies, but success is still described in terms of those things. Even introverts who do not care how many people know about them will often still define success in terms of being the best, or at least extremely good, in their personal interest, hobby or sport. The individual determines what is success by what he or she personally values. If we want to know what we value, then we must ask ourselves where we put our time, energy and money. The answer to those questions will tell you what we value in life. The question of what we value in life is an important question because the answer has eternal ramifications. because of these characteristics, are not liked by the unrighteous. Those are the traits that should mark the person that professes to be a Christian. That list does not get on the board for the top traits of a successful person in our world, however. Jesus contrasted the self-righteous teaching and conduct of the Scribes and Pharisees with true righteousness in the rest of Matthew 5 and the first part of Matthew 6. These false religious teachers perverted the Law of Moses and made it self-serving. They cut out the spirit of the law and narrowed it to a point where they could work around it. Their devotion to God was insincere in their religious practices and they were more concerned about what people around them thought than what God thought. Last week we saw Jesus expose their hypocrisy in giving to the poor, in prayer, and in fasting. In their religious practice towards others, toward God and even toward themselves – they wanted the honor of others rather than the honor of God. Our passage today is from the New Testament book of Matthew 6:19-24. On Wednesday, our world lost one of the greatest Christians our time has seen. Billy Graham passed away at the age of 99. Beginning in 1945, he preached to more than 215 million people through his crusades with millions more being touched through TV and radio. Millions gave their lives to Jesus and Billy Graham seemed willing to grow and learn over the years in spite of how large his ministry was. In the eyes of many he was considered successful and one of the most admired men. In fact, he was listed by Gallup as one of the 10 most admired men 61 times. Bill Graham was not the only preacher during his time that had a burgeoning ministry. However, he was one of the only ones to have a long-lasting ministry. The success of the ministry that God entrusted Billy Graham with was because his personal life matched his public life. Many influential Christian leaders have lost their credibility because of what was happening in private even though their public life was exemplary. Jimmy Swaggart, Jim Bakker, Ted Haggard, and Mark Driscoll among others all seemed to have it all. Thriving ministries and reaching people with the gospel, but it all came crashing down when their personal lives became public. Billy Graham has been most admired because of his integrity, character, and humble spirit. His private life matched his public life. Jesus continues his sermon to deal with the idea of compartmentalization of our faith. Many times, we hear the language of sacred and secular. Growing up there was secular music and Christian music, etc. We can also use the terms religious and secular or private and public. The problem arises in this distinction because all is sacred as God’s creation. We cannot compartmentalize things into these categories because all is done in God’s presence and according to his will. He sees us in private and in public, in religious and in “secular”. All is sacred and needs to be redeemed for His glory. Jesus has spent considerable about of time contrasting the religious rulers with his teachings. While he is speaking to the religious rulers, the Jews, he is also speaking to the gentiles (or non-Jews). The three choices the Lord gives are really one: how should we handle our wealth? This is a difficult choice to make. As John Stott has said, “Worldly ambition has a strong fascination for us. The spell of materialism is hard to break.” He is right — it is difficult. Jesus says, 19 “Don’t store up treasures here on earth, where moths eat them and rust destroys them, and where thieves break in and steal. 20 Store your treasures in heaven, where moths and rust cannot destroy, and thieves do not break in and steal. 21 Wherever your treasure is, there the desires of your heart will also be. The Pharisees believed that being rich was a sign of holiness, a sign that God has blessed me because of my righteousness. Riches were the stamp of divine approval. So, they greedily gathered money, and the richer they became the more they pretended to the people that they were spiritual. The Lord said, “It is easier for a camel to go through the eye of a needle, than for a rich man to enter into the kingdom of heaven” (Mt. 19:24), that was absolutely and utterly shocking to the religious rulers. To say that a rich man could no more enter the kingdom than a camel could go through the eye of a needle was really a shocking statement because they equated money with the blessing of God. Jesus offered them warnings but they brushed it off. They wanted money, material wealth, and possessions. They were storing up earthly treasures because their religion was false. Jesus is not speaking against having possessions, saving, stocking food supplies, or even having nice things. He wants us to enjoy what we have. He is speaking about the selfish accumulation of goods (for yourself); extravagant and luxurious living, the hardheartedness that does not seek to help the poor and needy, and the materialism that ties our heart to the earth. We can become covetous and the more we have, the more we want. Solomon (Eccl. 1:2) kept amassing fortunes until he was the wealthiest man in the world. When he reached that position he said, “…vanity of vanities; all is vanity” (v. 2b). It was all empty, useless, meaningless, and void. Today we try to protect our treasure by insecticides, rat poison and traps, rustproof paints, and security systems, it disintegrates instead through inflation or devaluation, or an economic slump. We are to be concerned about the things that make an eternal difference, not a temporal one. For many years, there has been a surging of “prosperity gospel teachers” who promote a faith that says, “if you do this then you will get this in return. God will bless you with earthly blessings.” This quickly leads to works righteousness that we can somehow earn our salvation or earn His blessing. But that is completely counter to the Gospel of Jesus Christ. Jesus is not teaching works righteousness but he us teaching that we should be concerned about everlasting things such as the development of Christlike character, increase in faith, hope and charity, growth in the knowledge of Christ, loving our neighbor, sharing Christ with others. 1 Corinthians 10:31 (NLT) – 31 So whether you eat or drink, or whatever you do, do it all for the glory of God. Jesus says a similar thing to his disciples in Luke 12:32. “Sell your possessions and give to charity; make yourselves purses which do not wear out, an unfailing treasure in heaven, where no thief comes near, nor moth destroys. For where your treasure is, there will your heart be also. Jesus is not saying that treasure in heaven is gained by giving away treasure on earth (otherwise the rich would have an advantage over the poor in being spiritual). Jesus is teaching that treasure in heaven is accumulated by keeping godly priorities of by living righteously and being obedient to Christ and following Him. Money and possessions are tools that can be employed for Kingdom work. Too often they become tools to be employed to build and maintain our own kingdoms. The eye illumines what the body does through its hands and feet (physical vision). If our perspective is correctly adjusted, then our life is filled with purpose and drive. If our vision becomes clouded by the false gods of materialism, and we lose sight of our values, then our whole life is in darkness and we cannot see where we are going (spiritual vision). Jesus says “eye” as in a singular eye is the lamp of the body. But we have two eyes so why does Jesus only say “eye”. Jesus is making the point that it is only the singleness of purpose or purity of intention that can keep the inner being lighted with God’s presence. Our heart will be shaped by what we focus on. If we are focused on God we will be filled with light. If we are focused on things, objects, and evil trappings then we will be filled with darkness. Our text deals with how we view our luxuries and our wealth. We live in a society where all of us need to learn to deal with this because all of us are wealthy in comparison to the rest of the world. Our text shows us how to handle those luxuries and possessions of ours that are beyond the simple necessities of eating, drinking, sleeping, and clothing. If we are in His kingdom we must face what He says. There is the tension of worshiping the gift or the giver. We have a choice to make – are we going to be devoted to God or to the things that God gives us? Are we going to focus on the giver or the gift? Mammon is the Aramaic word for wealth that is translated money. Anyone who divides their allegiance between God and mammon has already given it to mammon since God can only be served with entire devotion. To try and split loyalties is to opt for idolatry. It is a choice between Creator and creature, between a glorious personal God and a miserable thing called money, between worship and idolatry. Are we captivated by the intrinsic worth of the One or the intrinsic worthlessness of the other? The Apostle Paul said to Timothy, “For the love of money is the root of all evil…” (I Tim. 6:10a). The money is not the root of all evil, the love of it is. You can have no money and still love it like mad. It is the love of money that corrupts. Achan (Josh. 7) – Instead of inheriting the promised land, he died with his entire family because he decided to take what God forbade due to his love of money. When he saw a beautiful garment and some coins, he stashed them in the ground in his tent. The Lord confronted him through Joshua who said, “You had better confess your sin because you’re going to die.” He did, and he and his entire family died. Ananias and Sapphira (Ac. 5:1-11) – They decided to keep some of the money they promised to the Lord but God struck them dead. The story of the rich young ruler is told in Matthew, Mark & Luke. Jesus, knowing the man’s heart, instructed him “if you wish to be complete, to and sell your possessions and give to the poor, and you shall have treasure in heaven; and come, follow me.” Jesus put him to the test to expose what the man valued most. Would it be his earthly treasure or gaining heavenly treasure? Would he trust his riches or Christ? The man chose his earthly riches and went away sorrowful. Verse 21, your heart is wherever your treasure is. Where is our heart? Where is the investment of our life, motives, attitudes, and thought patterns? Where is the concentration and the preoccupation of our life? What particular object do you spend most of our thinking, planning, and energy on? Where we invest our time, our money, and our possessions is where our heart is. We are creatures committed to things — that is part of the curse on the society in which we live. Some societies are too poor to have things. But we are a society of things. 3 main themes so far of chapter 6 is simplicity, sincerity, and singleness. These are basic virtues in the life of discipleship. No amount of sophisticated ability or intellectualism or things will compensate for the lack of these. 2 Thessalonians 2:19 Paul states, “For who is our hope or joy or crown of exultation? Is it not even you, in the presence of our Lord Jesus at His coming? For you are our glory and joy.” This treasure in heaven- the crown of exultation- is acquired by those that share the gospel of Jesus Christ and see those people receive it and follow Christ. We cannot sit on the fence we must make a choice. We cannot be lukewarm. Takeaway: We are constantly being seduced into focusing on the temporal that we miss out on the eternal. We are so concerned about our security (financial, health, protection) that we try and secure it by storing up things to insulate us. However, God is asking for us to find our security in Him and focus on His provision. Jesus’ command to us is to not get caught up in trying to accumulate for ourselves the things of this earth. Do not place high value on the things the world has to offer. Instead, use your time, energy and finances to further the kingdom of God. Live your life in trust and obedience to Christ and help others do the same. Focus on God and the desires of our heart will reflect his holiness. Then we will be able to live free and generous with our earthly possessions.